Looking to save time and money and still create flavor-packed family-friendly meals? I created this book for all of us who want to serve great meals without breaking our time or budget bank. You can shop for the entire week one day and buy all of the ingredients to make dinners for the week. The book is a no-brainer blueprint, including weekly shopping lists, for serving your family delicious, diabetes-friendly dinners. You can enjoy big flavors without the hassles of cleaning up. Making a great meal doesn’t have to mean making a great mess. Cook meals that will impress your friends and family with next to no clean up required. 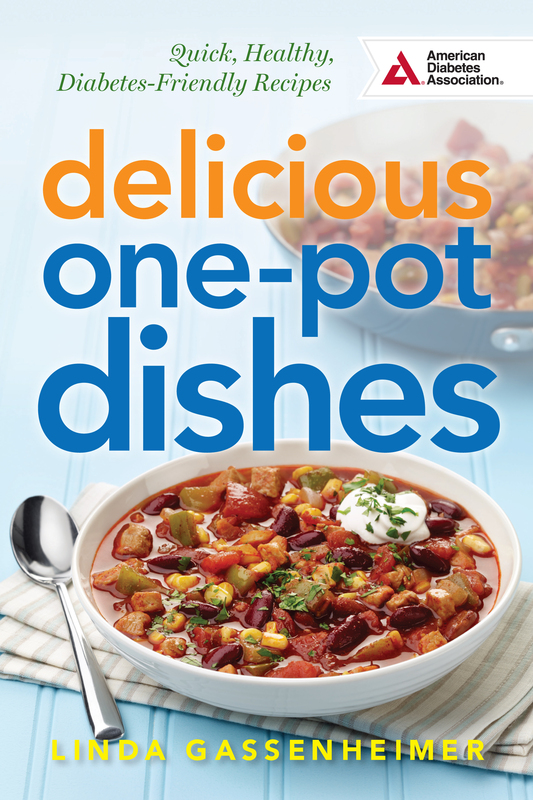 Using a skillet, Dutch oven, or even a casserole dish you can create hearty and healthy meals. Enjoy a Mexican Pork and Bean Chili, Buffalo Sloppy Joe or Pork Fried Rice. The book includes sections on shopping smart and stocking the pantry, making it an ideal go-to favorite for anyone looking for quick prep, low-cost, and hearty results. The book can also be bought at www.shopdiabetes.org. Looking for hearty, healthy meals in a hurry? Chicken is easy to cook, incredibly versatile, and a wonderful choice for health-conscious home chefs. Grilled, sautéed, roasted or poached, chicken dishes range from All-American comfort foods like pecan-crusted, honey-glazed chicken to the savory flavors of North Africa and Moroccan spiced chicken. Enjoy and Italian Meatloaf or Sangria-Braised Pulled Chicken Sliders and much more. All of the recipes are complete meals based on ingredients you can easily find in any local supermarket. There’s even a “Shop Smart” section to help you choose the right ingredients to ensure a healthier meal. Breakfast on the run, lunch in a hurry, quick snacks – a speedy meal on the go can help you survive a hectic day. Thick, colorful, tasty, smoothies are the perfect solution for a quick meal that works perfectly with nearly any diabetes meal plan. Try a Peanut Butter Banana Smoothie or Blueberry Blast for breakfast or a Mocha Mint Smoothie for lunch. All are designed with the latest nutrition research to balance glucose response while delivering unbelievable taste. Every meal needs something sweet at the end and No-Fuss Diabetes Desserts delivers. You’ll satisfy your sweet tooth with these desserts made in minutes. Love fruit: Try the Peach Crumble or Deep Dish Blueberry Cream. Chocoholic? The Mocha Fudge Cake or Chocolate Mousse is your answer. Each recipe has complete nutritional information. 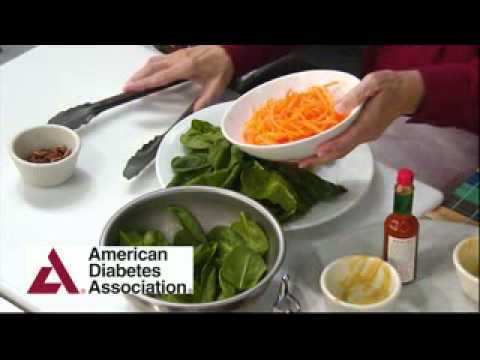 People with diabetes don’t have to face a lifestyle of steamed vegetables and broiled fish. These meals are packed with flavor that can be made in minutes. Here’s my secret. I let the supermarket do most of my preparation. The book helps you pick up ingredients at the market that you can take home and assemble in minutes. My second secret is simple recipes with a variety of ethnic flavors. Can I tempt you with Braised Chinese Shrimp, Indian-Spiced Chicken, Southwestern Honey Glazed Pork and a comforting Spaghetti Bolognese? This book will help you start on the quick, flavorful road to success. Published in 1991, this book brings a touch of the tropics into your living room. It features the people and places of the Florida Keys when the Keys were still a sleepy group of islands. The Keys recipes featured in this book are fun, delightful and include such local specialties as conch fritters, spicy shrimp, grouper chowder and an award winning Key Lime Cake. This is an informal cultural history of the Florida Keys along with mouthwatering Keys recipes. Enjoy these Keys meals, snacks and drinks and envision the palm trees and sunset for which they were created! Flavors of the Florida Keys is a new look that in addition to the people and recipes has restaurants and hotels to help you plan your trip to the Keys. To see photos and more go to Flavors of the Florida Keys page. 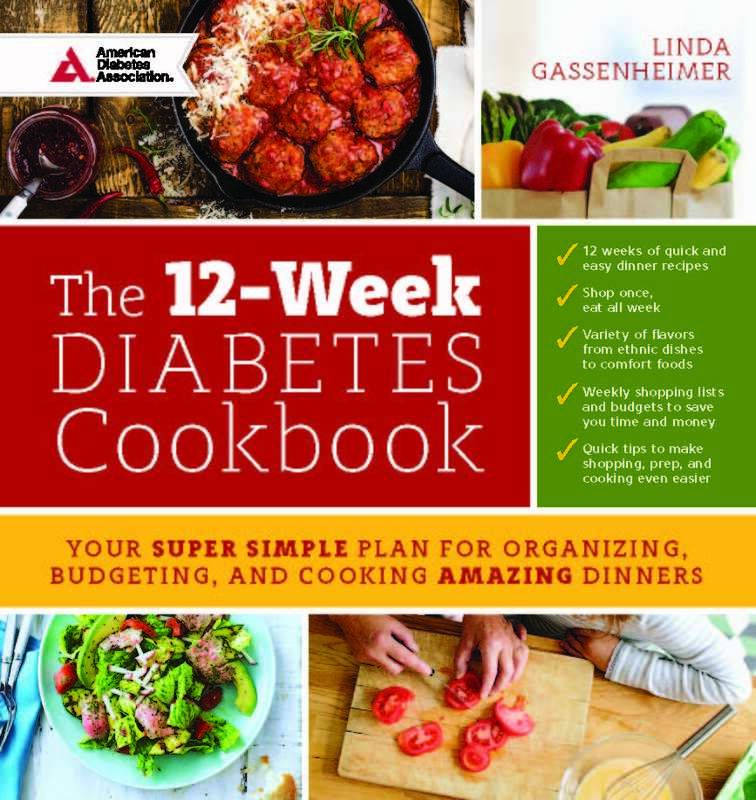 People with diabetes can turn to this book for easy, no-brainer solutions to meal preparations. Designed for simplicity, Mix ‘n Match Meals in Minutes is divided into three sections: breakfast, lunch, and dinner. This recipe book includes a week-at-a glance meal plan chart with selections that readers can mix and match to make a variety of menu options. Each recipe in this comprehensive planner features a shopping list, a menu, substitutions, and a countdown to get all the dishes on the table at the same time. This book offers: Nutritious and appetizing meals that are low in saturated fat and quick and easy to make – most of them in under 30 minutes. A three-stage plan which helps you to cut carbs and kick-start weight loss, reintroduce carbs without regaining weight, and finally establish a good-carb lifestyle forever. Invaluable advice and helpful hints, including shopping lists, daily menus, and weekly meal plan charts, making this an easy and delicious way of life! Experts agree: if you want to lose weight and keep it off, forget fad diets – just choose the right portions of the right foods. Actual, life-size photographs of good and bad portions for the most common foods give a simple, practical view of portion control. Be plate wise: Food used to be served on a 10-inch plate, but plates have grown to 12 inches. Use a 6-inch bowl and 10-inch plate and you’ll control your waistline at the same time. Get drink savvy: Save large 12-ounce glasses for water ONLY. Avoid calorie confusion: Balance your plate with lean protein, whole grains, and vegetables. Eyeball your portions: Learn how to eyeball correct-sized portions of meat & poultry, fish & shellfish, dairy, vegetables, and fruit and you can start to make clever food substitutions to suit your own tastes. To purchase this book, please contact me. This James Beard award-winning book is perfect for those who want meals in minutes that are packed with flavor and are healthful, too. Dinner in Minutes helps you every step of the way, providing you with a complete shopping list for every meal listed, as well as fat and calorie analyses for each meal. It also includes time tables and helpful hints for streamline preparation! Want great food, that’s quick, easy and on the table in minutes? Join me here for quick dinners that will please you, your friends and your family. And more – interviews with cooking celebrities on my radio program – restaurant reviews and how to cooking videos. 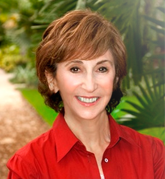 Read more about Linda and her books. Copyright ©2019 Dinner In Minutes. All Rights Reserved.